South East Region County Match Week Winners 2017 and South Region Junior Girls Champions 2015. Belated congratulations to Hannah Dymott from Meon Valley Golf Club for coming third in the final of the Abraham Trophy at Blackmoor Golf Club. 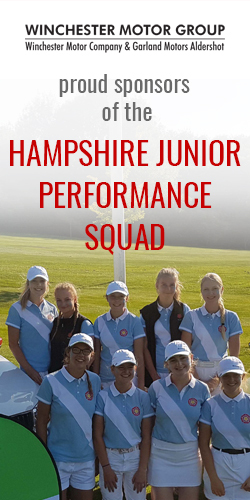 22 girls qualified for this national final on the basis of handicap reduction. Hannah played a great round of golf scoring net 70 and taking 3rd place on count back from four other players.